Low Carb Luxury recognizes that you have certain expectations about how the information we collect and retain about you and your correspondence with us might be used. Furthermore, we appreciate the confidence you have bestowed upon us in visiting and sharing with Low Carb Luxury and therefore want to inform you of the steps we are taking to demonstrate that we are worthy of your trust. Low Carb Luxury collects and maintains information about you and your online magazine subscriptions, discussion forum accounts, or other requests. To the extent permitted by law, this information is shared among Low Carb Luxury website staff at our discretion to better anticipate your website and informational needs. Low Carb Luxury Online Magazine sign-up information is held by site administrator only to further protect your privacy. No lists are ever rented, sold, or shared with third parties. At Low Carb Luxury, access to visitor or subscriber information is based on the sensitivity of the information and our website staff's need-to-know. In the majority of circumstances, only Lora and Neil, the authors, will ever see this information. In order for Low Carb Luxury to exceed your expectations, we strive to maintain complete and accurate information about you and your requests, subscription status, and other information you provide. 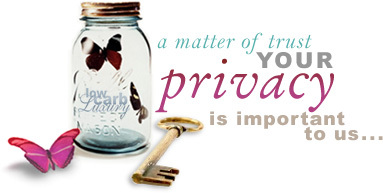 If you have any questions regarding Low Carb Luxury�s Privacy Statement, please contact us.